The year turns in September for me and not in January. It’s rooted in my agricultural genes and reinforced by my career choice. Little has changed since yesterday in the garden. The signs of life – snowdrops, crocus and narcissus poking through, buds bursting forth on the Daphne by the front door, herbs, kale and leeks to harvest were there yesterday. And yet, there has been a turning of sorts today. January 1st is the day when I turn the compost – unless, like last year it is raining hard. In fact half of it was ready to use to mulch the beds. So I did. Now that I have no allotment I’m thinking of investing in a double compost bin. One ‘cooking’ and one ready to use. We certainly generate enough garden waste and there’s something inherently satisfying about turning waste into a thing of beauty and purpose. Contrary to popular belief there is nothing remotely difficult about making compost. Here are my five top tips to get you started if you haven’t already joined the green army. Don’t pack it down too tightly. Chop everything up as small as you can to speed up the process. 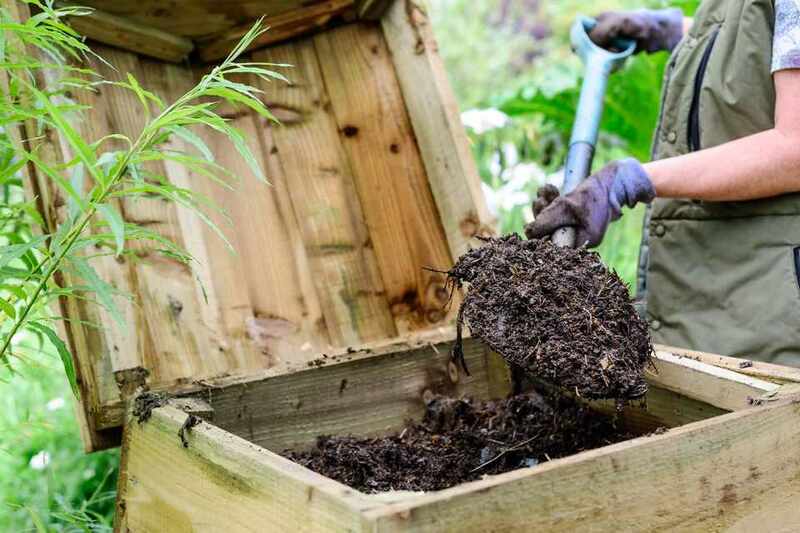 Cover your compost to prevent it getting too wet and keep in the heat. There are all sorts of other tips and tricks, umpteen types of compost bin, toubleshooting techniques and tools but if you start with my top five tips, you won’t go far wrong and it will save you a fortune in bought bags of compost. A few hours in the garden today was time well spent. A female blackbird has moved in over Christmas; next door’s cat has stopped using our plot as a toilet (perhaps she’s in the cattery?) and most of the autumn leaves have been bagged up and stashed round the back of the shed to make leaf mould. All’s right with the world….. until I have to do battle with my feline nemesis.